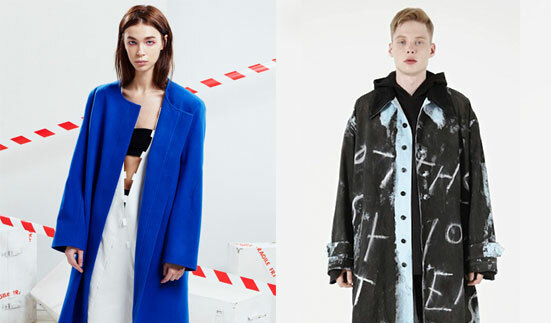 Youth culture platform VFiles has selected two Russian designers, Dasha Selyanova of London-based brand ZDDZ and Tigran Avetisyan, to take part in a New York Fashion event for young talent this September. Selyanova and Avetisyan will present collections at VFiles’ highly popular catwalk event, which showcases the work of up-and-coming fashion designers. Both were selected by VFiles, Calvin Klein Creative Director Italy Zucchelli, Vogue Editor Candy Pratts Price and stylist Mel Ottenberg. Moscow-based Avetisyan, known for his groundbreaking menswear designs, has fast built a reputation among the international fashion community as one of Russia’s most talented exports. Dasha Selyanova's East London womenswear label ZDDZ has also shot to success, with its distinctive use of prints, bold shapes and hip hop aesthetics. The two designers will be joined by Japanese designer Detto Kazuma of DTTK and New York's Hygein Hamm.